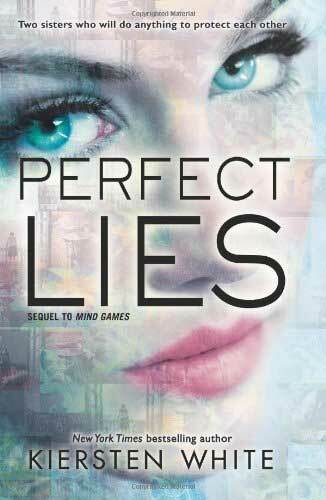 Perfect Lies is the sequel to Mind Games. This science fiction and paranormal thriller that does not suffer from the same issues as the first book. Mind Games was bogged down due to poor writing and character development, but in Perfect Lies, the writing style is less jumbled and has a great improvement. The plot is continued in Perfect Lies, where Annie and Fia are back. Annie has the ability to see the future through her visions, and it seems like she will have to be the one that gets Fia out of the evil clutches of the Keane Foundation. Fia is a completely reckless individual and was forced by the Keane Foundation to commit deadly crimes in order to make sure that they don't harm Annie, who was trapped at the school. There's a romance between Fia and James Keane, but that didn't feel real. Even though Fia said she loves him, the actual falling-in-love part didn't happen because the to escape from the Keane Foundation, which is run by James's father. Annie's romance with Cole is so sweet and charming and the way that Annie asked Cole out on their first date was extremely hilarious. Perfect Lies is definitely a worth reading book and it's truly a wonderful surprise for the readers of all ages. "Just how many secrets are you keeping from me?" "I'd tell you, but it's a secret." Kiersten White is the New York Times bestselling author of the Paranormalcy trilogy, The Chaos of Stars, and the psychological thriller Mind Games. 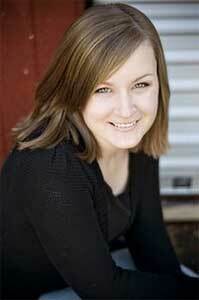 Kiersten lives with her family in San Diego, California. She connects with her readers on her website.